I love history so when I saw this anniversary, I had to write about it. As someone who was born and raised in Southern California and lived through several big earthquakes, it’s hard to quantify or qualify what a magnitude 9.2 earthquake means. 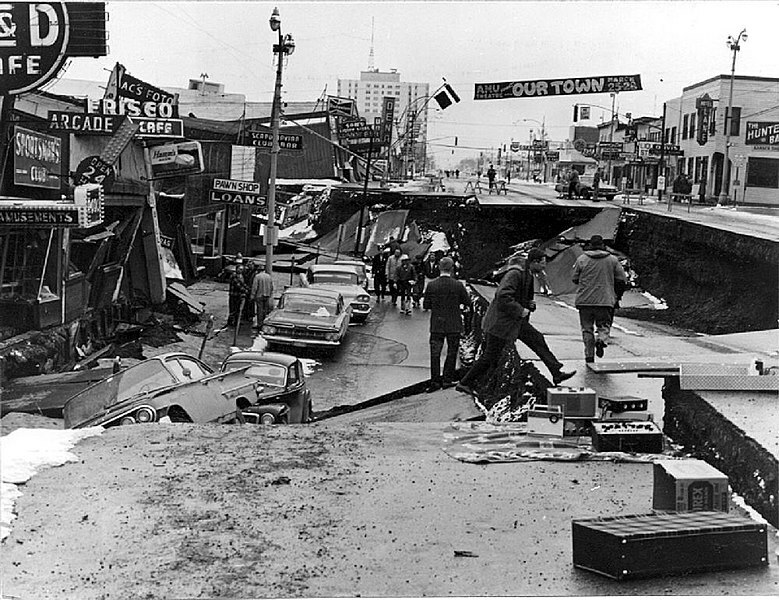 In Los Angeles, they always talked about the ‘big one’ but nothing remotely close to a 9.2 ever hit the Greater L.A. area in the five decades I lived there. However, that’s exactly what occurred 50 years ago today just east of Anchorage, Alaska. It’s simply called the Alaskan Earthquake or Great Quake and is the largest earthquake in the history of the United States. It happened on Good Friday, March 27th, 1964, but there was nothing good about it. It hit at 5:36 pm and shook the earth for three minutes. I can remember earthquakes that may have rumbled for no more than 30 seconds so three minutes would seem to be forever and likely there were folks praying a lot, figuring this was it, considering it WAS Good Friday. The fact that ‘only’ 139 died from the results of the quake – mostly because of the tsunamis – is in large part because there just weren’t that many people living in the region (less than 100,000 for the area). Again, most people died because of tsunamis that rose as high as 220 feet above the normal sea level. No, that’s not a typo (source: state of Alaska). It’s was nearly as tall as the 22 story Conoco-Phillips building in Anchorage – currently the tallest building in the state. Felt thousands of miles away, it should be noted that Anchorage had 11 aftershocks of 6.2 or greater … the first day! It was at least a year later before the aftershocks subsided. The ground literally sucked in and ate up what was above it, while at the same time, land shifts measuring 20 feet or more were pushed in the air. Fissures both moving up like new hills appeared and yet cracks too deep to see down were everywhere. What was at one time, submerged ocean bottoms became cliffs rising above the new shoreline. And still other areas that once sat above the coast were now underwater. On the California Central Coast, a little over 10 years ago, our town suffered through the San Simeon Earthquake which registered 6.6 magnitude. It devastated older portions of the Downtown area of Paso Robles here in wine country. When you consider how many multitudes more powerful the Alaskan earthquake was, it’s hard to imagine that anything would have been standing – older buildings or not. We had another anniversary recently with the strongest earthquake in California over the last couple of decades, the Northridge Earthquake, which occurred January 17th 1994. It was a 6.7 and happened at 4:30 in the morning when a vast majority of Californians were asleep, which made it more dangerous and deadly. In Paso Robles, we’re less than a half an hour’s drive from the big daddy of all faults: the San Andreas. Running southeast to northwest, it runs in the center of the state from the Imperial Valley near the California and Mexico border at the Salton Sea, through the Southern California deserts and mountains and inland Central Coast, right to San Francisco and then along the coast of Northern California before ending just south of Eureka. Yes, you can see the San Andreas Fault. This is in the Carrizo Plain less than an hour east of Paso Robles. An area some 20 miles east as the crow flies from Paso called Parkfield, has a massive amount of instrumentation for research of the San Andreas (source: USGS). Parkfield has very few residents because the place shakes constantly. Parkfield had a 6.0 almost 10 years ago. Do these things happen in 10 year increments? When the ‘Big One’ will happen on the San Andreas is still uncertain. 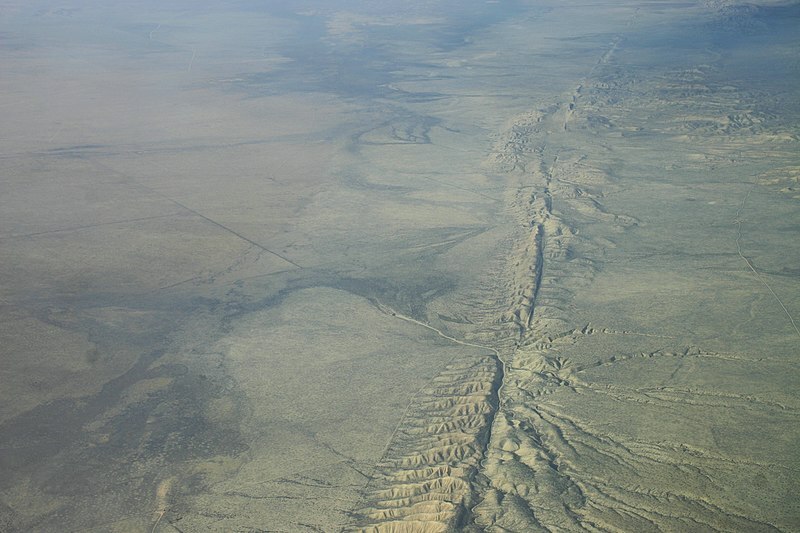 Most believe that the Southern California portion of the massive fault is where the spot for the big one will occur next. Regardless of the speculation, anyone in California should be diligent and aware of just what might or will likely happen. History repeats itself and earthquakes are no different. I’ll continue to contemplate and try wrapping my mind around what a three minute quake registering 9.2 is like. The Big One? The Alaskan Earthquake was the biggest … so far. This entry was posted in Central Coast, History and tagged 9.2 magnitude, Alaskan Earthquake, Big One, Parkfield, San Andreas Fault on March 27, 2014 by PasoDr. In the pursuit to get out information, sometimes we forget all the different needs you might have. If you’re following our blog, you would realize that we sell decorative wine barrels whether as a full oak barrel that may be a fixture in a room or yard – we also have half barrels as planters. We talk about the world of wine and in addition, we converse on a myriad of topics relating to the California Central Coast. Still, from time-to-time, people have let us know of their wants and to that end, we came up with our new glasstop wine barrel table. Decorative wine barrel table with cork-filled glasstop. And that leads me to other suggestions that have been brought to our attention. We may in the future produce some or maybe most of these ideas, but regardless, I’ve laid out a few simple ones here that you can consider when buying a used full or half barrel from PasoWineBarrels.com. The easiest idea is to purchase a full used wine barrel from us and simply place it in a room or yard as a sort of ornamental item like people do with any assorted objects. You don’t have do anything and your old used wine barrel with all its marks, stains and history can offer a distinctive and eclectic object that will have others remarking about it for years to come. It won’t be nearly as stunning or dramatic as our decorative wine barrels, but it still offers a genuine feel and experience that brings wine country right into your home, office or outdoor area. And of course this full used barrel can obviously be used as a table. Other than as an eclectic object, used barrels can be used for an assortment of supports or as a table. Which can also be done with our next idea: a simple suggestion is to purchase one of our used full barrels and cut it in two. With two half barrels, the most common initiative would be to use them as end tables or as planters. Both ideas can take place whether it’s indoors or out. The classic and most popular thought is to make planters out of them and they look good and always seem to fit any garden. However, they won’t last nearly as long as our decorative planter barrels which endure because of the extreme amount of work and care we put into making them last including sealer and varnish. By the way, you can also purchase our used half barrels if cutting the barrel is too much for you to handle. For animal lovers, you can purchase the used wine barrel and cut out a larger hole and the solid white oak barrel becomes a doghouse. You will have to build a couple of supports so it doesn’t roll. 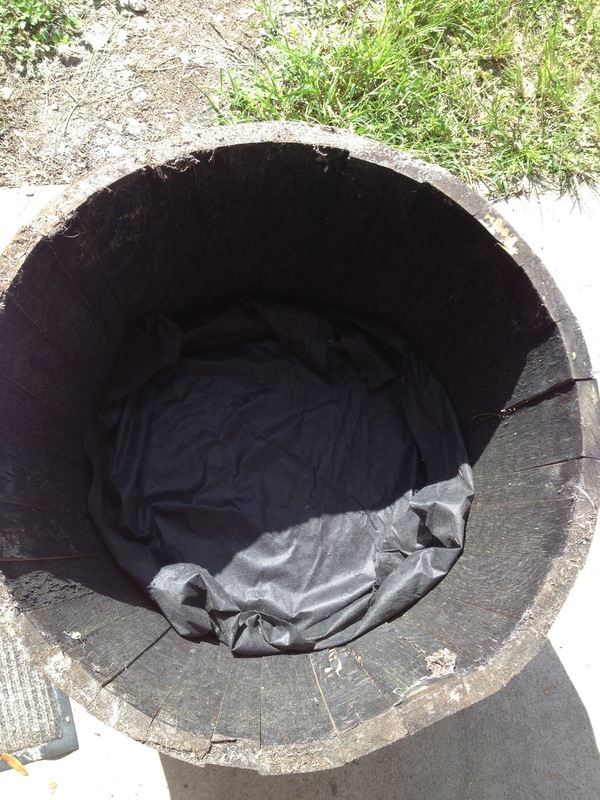 The used half barrel can be made into a bed for dogs or cats. A partial cut will have to be prepared so as to offer an entrance, plus a pillow and or blanket could make this suggestion ideal for your family pets. Old half barrels have many uses both inside and outside. One more quick idea is to purchase a couple of our used barrels and you can place a top over them to make a large table for parties or any a sundry of things. With any used barrel, you get what you get. These barrels were made for wine and if you don’t have liquid or as we do, layers of stain, sealer, varathane etc, an old used barrel will have trouble with staying power – otherwise known as shrinkage. You must also realize that with shrinkage, a used barrel’s hoop bands will be loose. Again, this is something we do to our finished products – tightening the hoops and securing them with new hoop nails. Still, there are thoughts of different suggestions too many to name or show here on what you can do with old used oak wine barrels. Hopefully these simple ideas will offer some insight into what you might be able to do. Yes, it can be hard work especially when working with oak and if indeed it’s too much trouble, you always know where you can get the best looking finished wine barrels around – that would be us. Bring a little of wine country back with you … and have fun! 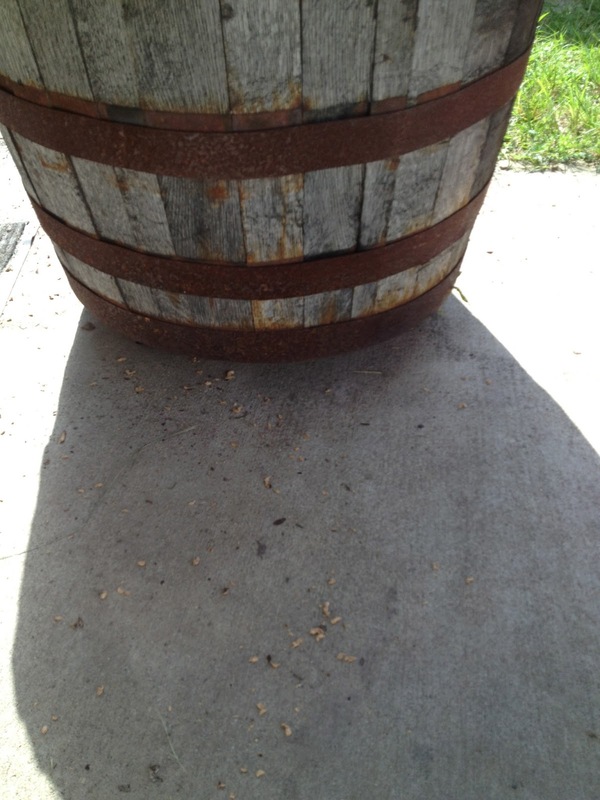 This entry was posted in Barrels +, Gardening and tagged doghouse, oak end table, oak table, old used wine barrel, used table, used wine barrel, used wine barrel table, wine barrel planter on March 25, 2014 by PasoDr. I was going to write about the first day of spring and what you might do but got a little busy. On the other hand, a fellow WordPress blogger Brandie had a short but sweet few paragraphs so I went with it and reblogged below. Today is the first day of spring and a Vernal Equinox! Finally longer days and warmer nights! So what is an equinox? The day of the equinox, the center of the Sun spends just about the same amount of time above and below the horizon, so basically night and day are just about the same length. It is a perfect time to get your seeds going. You can easily start your seedlings in a window sill. I like to reuse items, so I used tin cans. A punch makes it easy to make labels for your seeds. After about few weeks they will start to sprout and ready to move. Happy Gardening! Have a wonderful first day of spring! Do you have plans to start a garden? Remember, if you need planting containers, we have recrafted one-of-a-kind half wine barrels on sale this March – (see special here). 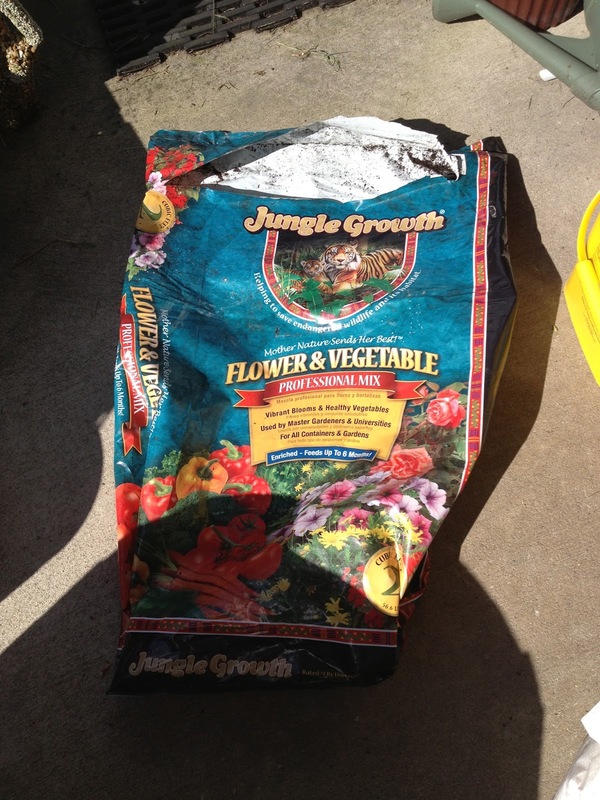 This entry was posted in Barrels +, Gardening and tagged First Day of Spring, gardening, planting, spring, Vernal Equinox on March 20, 2014 by PasoDr. The main street that runs through Paso Robles is none other than Spring Street. Aptly named for the hot springs that once were all over the Paso area, hot springs with their sulfur and mud made the region a popular destination many years ago. One of the many reasons Paso Robles is now famous includes their mineral hot baths. The springs have been a godsend and at times a hell all wrapped up in one. The earliest times in Paso Robles two centuries ago found the padres at Mission San Miguel using the soothing springs. The mission fathers were made aware of the thermal mineral springs by the local Native Americans (Salinan) who knew of the hot thermal waters. From the City of Paso Robles website, the area was known as ‘California’s oldest watering place’. Actually Paso Robles was originally called Agua Caliente – not to be confused with the desert resort casino near Palm Springs, California. The name simply referred to the area as ‘hot water’ or ‘hot springs’. In the earliest years of the area back in the mid-1800s, there really wasn’t anything in town but a log cabin built around a mineral hot springs near where present day City Hall sits. When the town received a post office, shortly afterwards the city fathers changed the name to El Paso de Robles – ‘The Pass of the Oaks’ – a tree which the Central Coast has a bounty of. Bath houses such as the Paso Robles Inn were famous a century or more ago. 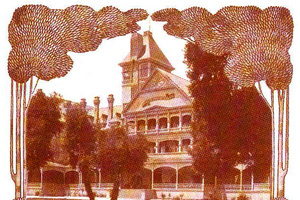 The restorative and healing affects the hot springs had made Paso Robles notable as a health resort for many decades and the bath houses were world renown including at the Paso Robles Inn. The steaming caldron of water from deep in the Earth’s crust drew the wealthy and famous who made Paso Robles a trendy stop and even the Pittsburgh Pirates made the town their spring training grounds in the 20s and 30s. Jan Paderewski, who was a famed pianist/composer, ended up making Paso Robles one of his homes – drawn by the healing affect of the mineral springs on his hands. The notorious James brothers, Jesse and Frank, lived in Paso for a spell. Situated about halfway between San Francisco and Los Angeles, the mineral springs were popular for travelers but as better transportation and other corridors emerged, the recognition waned along with the fact that some springs dried up during the 20th Century. By the way, the city’s Municipal Pool on Oak and 28th Street was once home to a sulfur hot springs. 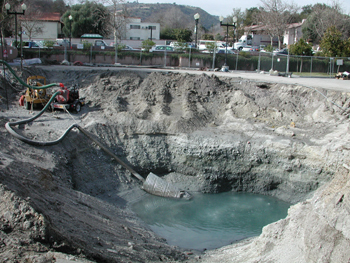 The 2003 San Simeon Earthquake reopened up a hot springs hole in Downtown Paso. Ranches and orchards sprang up everywhere in the ‘North County’ region of San Luis Obispo County where Paso Robles sits and of course in the latter stages of the 1900s, vineyards brought a new fame and fortune to the area. An earthquake in 2003 reconnected the hot springs to the surface in some areas while bringing unwanted fissures that brought a terrible smell in town that wasn’t remedied until a couple years ago. Still, with the new reputation of the region as a destination for vacationers, these thermal and soothing waters may have brought the mineral hot baths back into prominence of sorts. Paso has a few local businesses that offer mineral hot springs including the famous Paso Robles Inn in Downtown, the River Oaks Hot Springs Spa on the north part of town and the eclectic and natural Franklin Hot Springs southeast of the city. 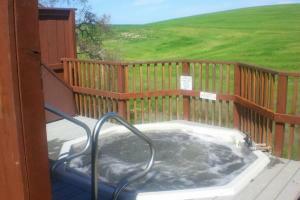 River Oaks Hot Springs Spa offers wondrously relaxing hot tubs with great views. As the world’s number one wine region and a popular traveling destination, the history and background of Paso Robles can be lost sometimes. However, the cities rich past is still present and something tells me that more hot springs will pop up before long, bringing their popularity in the region full circle from centuries ago. Sources and photos in part are thanks to River Oaks Hot Springs Spa, Paso Robles Inn and the City of Paso Robles. This entry was posted in Central Coast, History, Water and tagged bath house, hot springs, mineral springs, Paso Robles, sulfur hot springs on March 19, 2014 by PasoDr. Decorative Wine Barrel with green bands. March 17th is always designated as St. Patrick’s Day and is one of the more fun holidays. We here at Paso Wine Barrels have Irish in our background so we thought we’d just give a quick nod to the Irish and everything it means to be Irish. As you may have guessed, I like history and was going to go into a long dissertation, but decided that was for another time. I will say the term ‘Wearin O The Green’ simply comes from the color of the beloved shamrock and the fact that Irish took to wearing green as a designation through a ballad from a few centuries back. So when you see the special like we are running today, now you know where the saying comes from. And really, don’t all of us have a wee bit of Irish in us. This entry was posted in History and tagged March 17th, spring, St. Patrick's Day, Wearin O The Green on March 17, 2014 by PasoDr. There are a host of ideas on what you can do with half wine barrel planters and on an occasion or two, we’ll try to give you some thoughts and advantages of our furniture-like planter barrels. Whether inside or outside, they’re are numerous suggestions that are offered, but likely the most common is the outside planter. A story I spotted last year offers the basic layout of how and what you can do with the barrel. The blog below is by Floridian author/writer Tymber Dalton and with several pictures, gives her take on how to get your planter ready. We thank Tymber for allowing us this privilege. This project only took me, oh, a friggin’ year and a HALF to get done. I bought the Jack Daniel’s half-barrel at Dom Home Depot and there it sat on my carport because I was too busy to get it done. You start with a half of a wooden barrel and drill holes in the bottom for drainage. 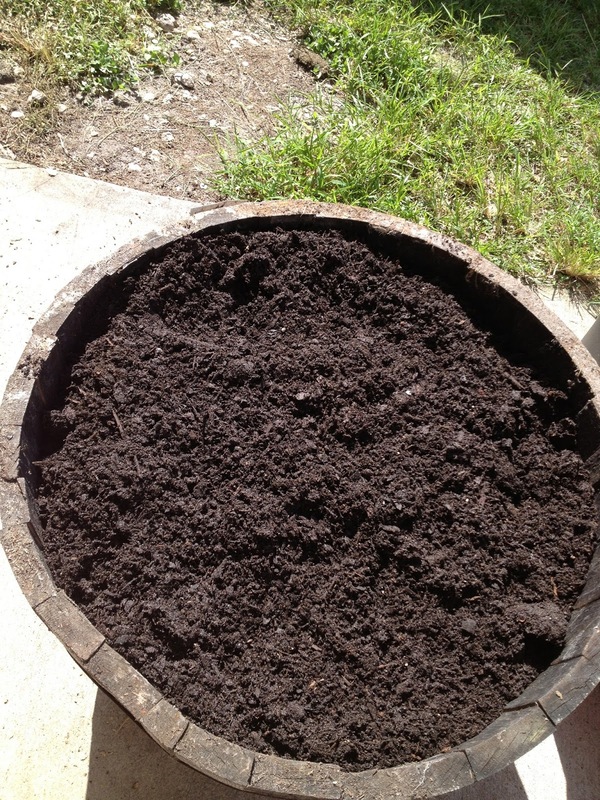 That is, if you’re actually putting soil IN the barrel and not just putting stuff in it to prop up a plant in a pot. Then you set it up on a wheeled plant stand thingy so you can move it. Because a) it will be super-heavy when it’s full, and b) you want it to be able to drain. Then you put weed fabric (or newspaper or something) in the bottom to allow water to drain but not let the soil run out all over the place. Note that newspaper will biodegrade faster than weed fabric. So while cheaper, not necessarily the best choice. (Plus I had a roll of weed cloth I could whack a piece off of.) I suppose you could use an old towel or something. 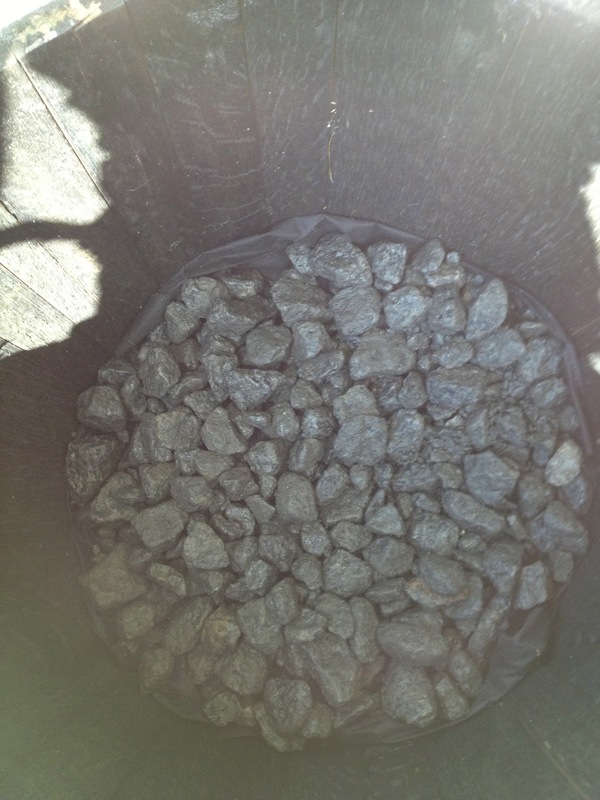 Add the rocks/gravel to the barrel. Then add potting soil of your choice. 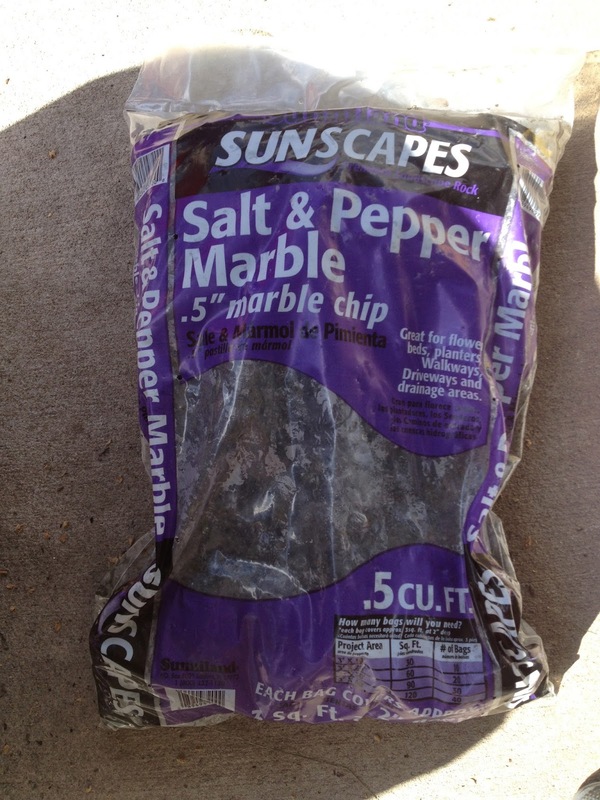 Yes, you could mix your own from topsoil, compost, manure, perlite, etc. but it was easier for me to just buy a bag ready to go. Then you add your plants. In this case, I transplanted a rosemary plant I had in another planter, added a couple of marigolds and a vinca that I got from Lowe’s for color, and planted mesclun lettuce mix and basil seeds. So it’s a working planter. The mesclun seeds (NOT to be confused with mescaline, as Sir did, asking me WTF with a cocked eyebrow until I showed Him the seed package LOL) are already sprouting. With our warm climate, I can grow salad mix greens pretty much all year round as long as I protect them from frost if the temps drop too low in the winter (rarely). It’s easy to container grow them, that’s for sure. If you stagger the planting times, you can pretty much give yourself greens all year round if you use containers and protect them. I also picked up some raspberry and blackberry bushes, as well as a tangerine tree. I already have 3 container blueberry plants (that I need to transplant into larger containers). I’m slowly working on adding more food-bearing plants. And now, after seeing that episode of Duck Dynasty, I’m dying to get my hands on several mayhaw trees and plant them to see if I can get them to fruit. I already have some oregano, mint, chives, and basil growing. No, I’m not an off-the-wall survivalist. But with these two post-apocalyptic series growing in my head, I’m really interested in getting back into food gardening and playing with some ideas I have that the characters might use. Remember that Paso Wine Barrels are specially treated and will look much better than the ones shown along with the ability to last quite a bit longer. 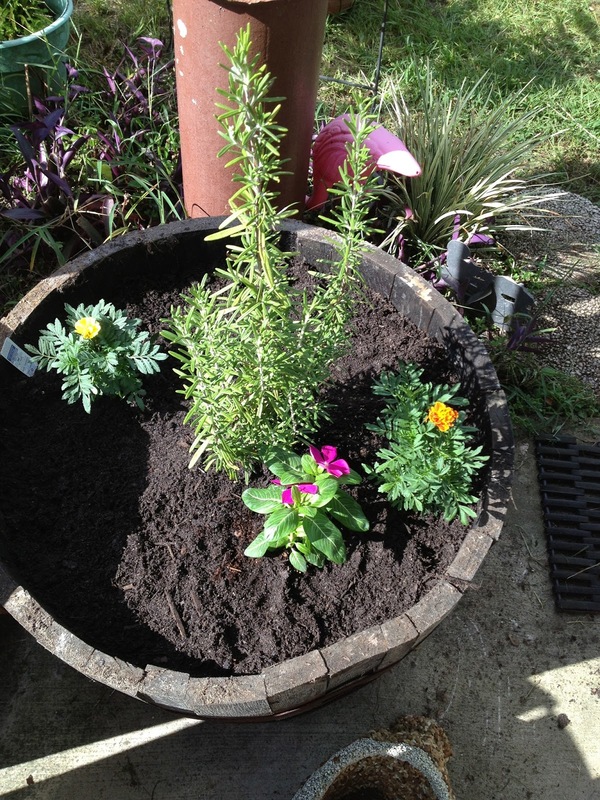 And note we sell Decorative Planter Barrels for $20 off. 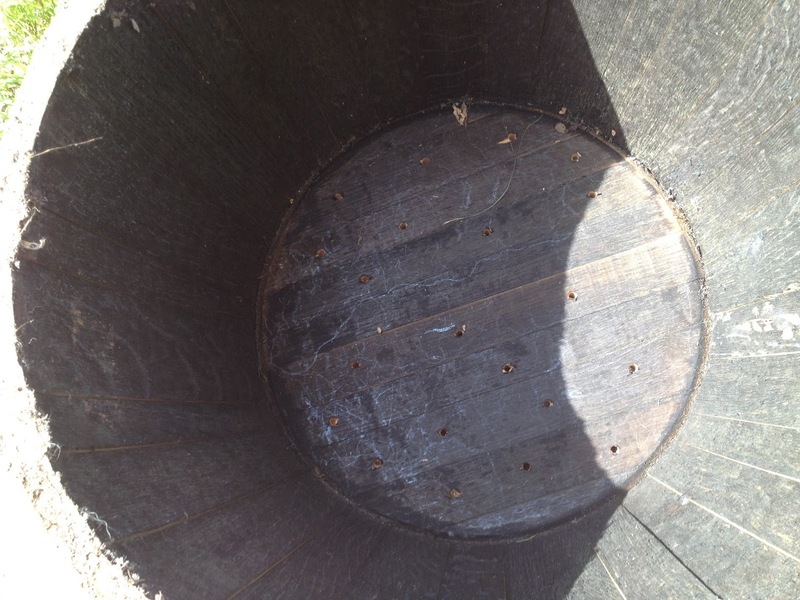 This entry was posted in Barrels +, Gardening and tagged gardening, greens, half wine barrel, herbs, home improvement, homesteading, lettuce, planter barrel on March 13, 2014 by PasoDr. 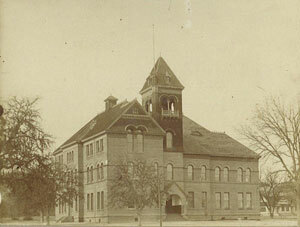 During the 19th Century, the city of Paso Robles was born on March 11, 1889. This year represents the 125th birthday of this still somewhat out-of-the-way town on the California Central Coast. However, what was the Golden State like during its, at least to some extent, formative years as a state? Originally part of Spain and then Mexico (and even Russia), the state became a territory of the United States after the Mexican-American War, which originated because Texas was admitted to the union. Closely following the Lone Star State’s lead, California was established as a state and admitted into the union in 1850, making it the second largest state after Texas. California once was much larger and included Nevada, most of Arizona and parts of Utah. This all happened about the same time as the California Gold Rush, ballooning the state’s population. 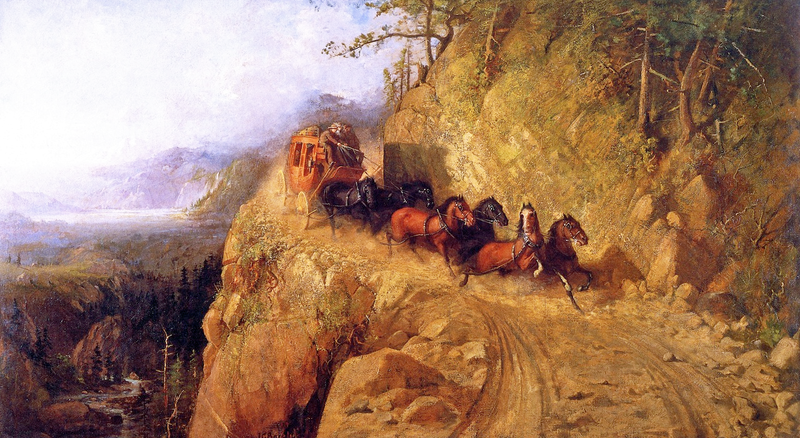 Once railroads were established in the 1860s, travel to and from other states and the East Coast became more regular and helped business grow in California creating a land boom of sorts. Soon farming became popular once farmers realized how many valleys and fertile lands there were throughout the state. Included was the Paso Robles region due in part to the Salinas River and its huge underground water basin. Leading up to Paso Robles’ incorporation (which is the second oldest city in the county), the 1880s had been a time of economic boom and industrial development helped by electrical power and rail expansion. Machine shops were created along with direct and alternate current motors (AC and DC) expanding, plus paper became more easily made. Also, the steam turbine was invented, the inflatable tire was developed and of course Karl Benz patented the first automobile. With this rapid growth, the Wild West was being tamed (Jesse James once lived here) and to say the least, the 1880s were quite a period of change. However, due note California did have a dip in its economy towards the late 1880s after the bubble that was created during the land rush. By the way, the following year in 1890, 140 miles to the east of Paso Robles, the Sequoia National Forest was established – the first national forest in California. On New Year’s Day 1889, there was a full solar eclipse. When Paso Robles became an official city that year, during the summer and less than a 100 miles to the east, most of the town of Bakersfield burned down. To the south, in what some call the Great Fire, in early fall nearly a million acres in Orange and San Diego counties were torched in Southern California. Just to the south of California in Baja, Mexico, they had their own short lived Gold Rush, which had less to do with gold and more to do with bold rumors and talk than was real – some things never change. The President of the United States in 1889 was the newly elected Benjamin Harrison who was the grandson of the ninth President of the U.S., William Henry Harrison (‘Old Tippecanoe’) who was in office for all of one month before dying from pneumonia. A Republican who believed in protectionism using high tariffs, along with broad new powers to stop monopolies, Harrison pursued civil rights and an increase in national forests. The Governor of California was Robert Waterman – also a Republican. Originally a New Yorker before moving as a young teenager to Illinois, he came to California like many, looking for riches in prospecting. No luck at finding precious metals, he returned to Illinois where he became a successful farmer along with being a newspaper publisher. A second visit to California would be much more triumphant for Waterman and finally propelled him into the governorship. Known for his straight-forwardness, he believed the state should be run like a business. Waterman served one four-year term from 1887 to 1891 dying a few months after he departed office. Paso Robles sits nearly halfway between the two giant metropolitan cities of San Francisco and Los Angeles. Back in 1889 they weren’t nearly as big as they are now with L.A. being less than 50,000 in population. San Francisco was the major city in the Western U.S. and by 1889 was already approaching 300,000. At that same time, the population of Paso Robles was maybe 500 folks. It should be noted that the first thing Paso Robles did as a city was build a jail – it was still the Wild West after all. Paso Robles would build the first high school in San Luis Obispo County just a few short years after incorporating with the Marie Bauer School. Although meteorological records weren’t accurately kept in Paso Robles until a couple years later, 1889 ended with heavy rains, especially in the northern part of the state as a hard winter had set in with the Sierras seeing terrific amounts of snow that season. Paso Robles was known for little more than a stop on the trail with hot springs. Cattle ranches and almond orchards dominated the area. The county was the milk producing capitol of the state during this era and also the area was known as Almond City. Sheep used to be common place in this region but by 1889, agriculture was starting to become more popular just as it was around the state. Areas east of Templeton and Paso Robles were being cultivated with grain fields and fruit orchards due to the great composite of fertile soil. Times were changing. The towns of Santa Margarita and Templeton both surfaced during this time as well resulting in a time in history when the entire North County of San Luis Obispo County had sprung up during 1889. Paso Robles would go through many more changes over the course of the next 125 years as did the state as a whole with California emerging as the most populous state in the U.S. with an economy that would rank as the eighth largest in the world. And of course, Paso Robles is now known as the world’s number one wine region. A lot has changed over the last century and a quarter in Paso Robles and California. This entry was posted in Central Coast, History and tagged 1889, California, Paso Robles on March 12, 2014 by PasoDr.